Extra large dog ramp for vehicles. This ramp is suitable for dogs weighing up to approx 15 stone. 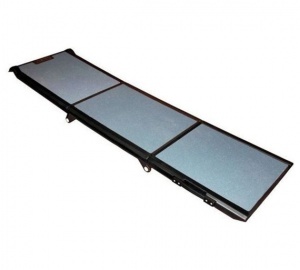 It is one of the widest and sturdiest ramps we have found to help your dog in and out of the car. Particularly suitable for large and giant breed puppies when joints are still forming and impacts should be avoided. Also very suitable for senior dogs. 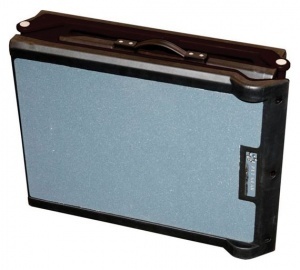 Compact size with a slip-resistant surface to provide grip in wet conditions. Weight approx 12Kgs. It also features rubberised bottom grips for secure placement and a safety tether for securing the ramp to most vehicles.